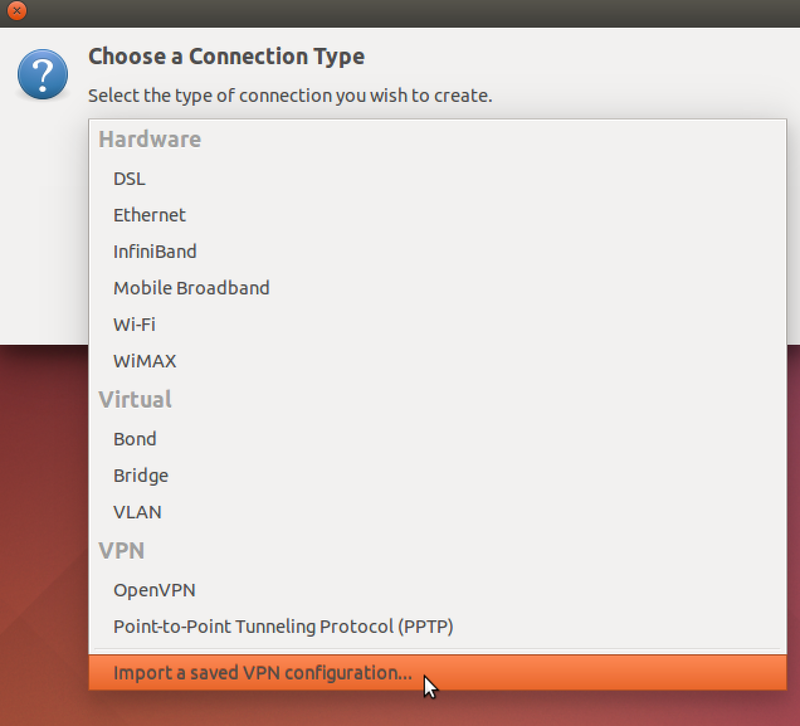 This tutorial describes the configuration of OpenVPN on Ubuntu 14.04 using the built in Network Manager. 1.) 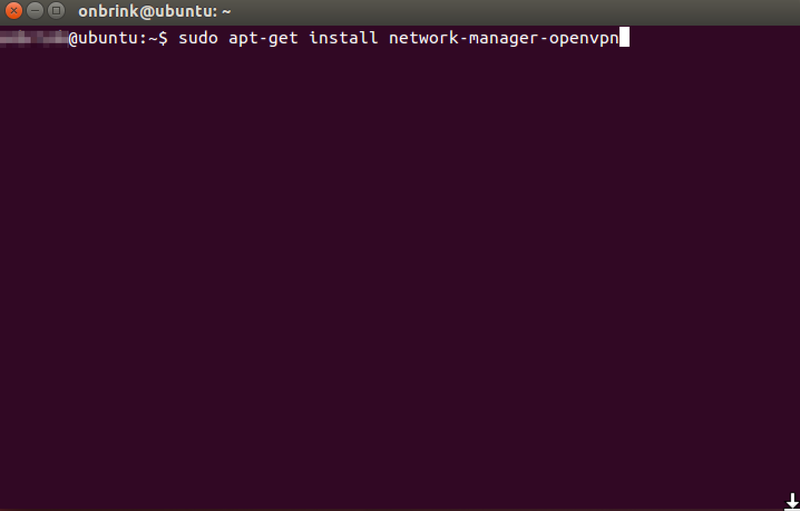 First, open a terminal and enter the following command to install the Network Manager Plugin for OpenVPN. 2.) 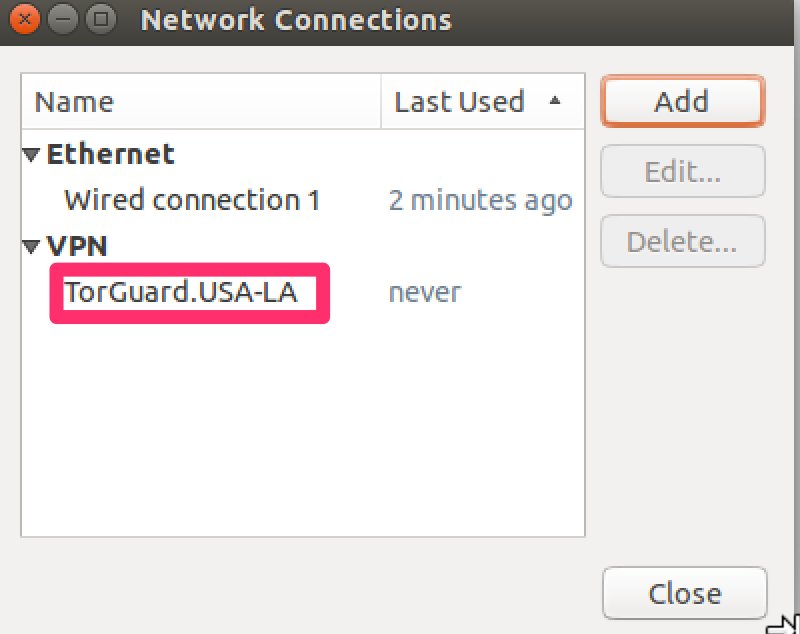 Next, download the TorGuard OpenVPN config files and save and unzip them to your Desktop. 3.) 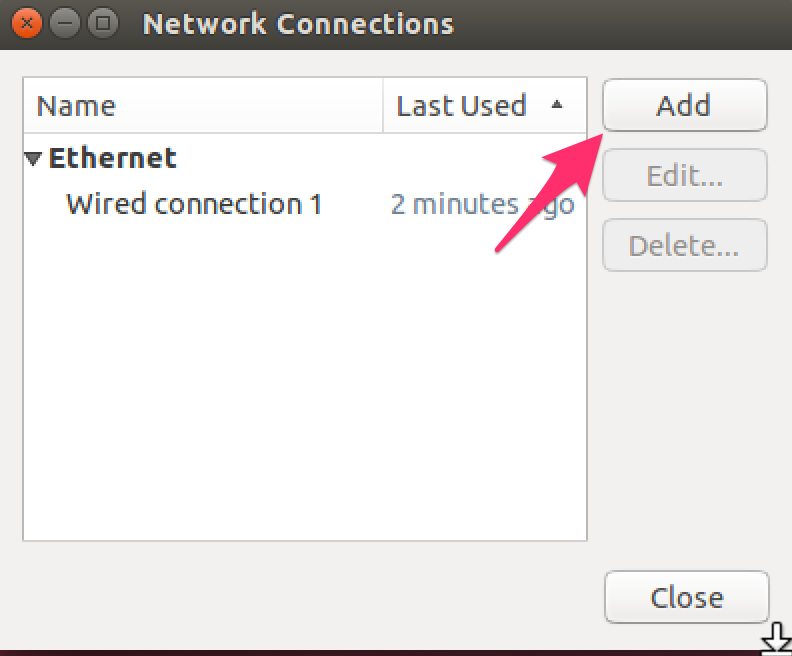 Click the network manager icon in the top menu bar and select "Edit Connections..."
4.) In the Network Connections box click "add". 6.) Next, we need to select one of the TorGuard OpenVPN configs for the server you'd like to connect to. 7.) All the needed OpenVPN settings will now be imported. 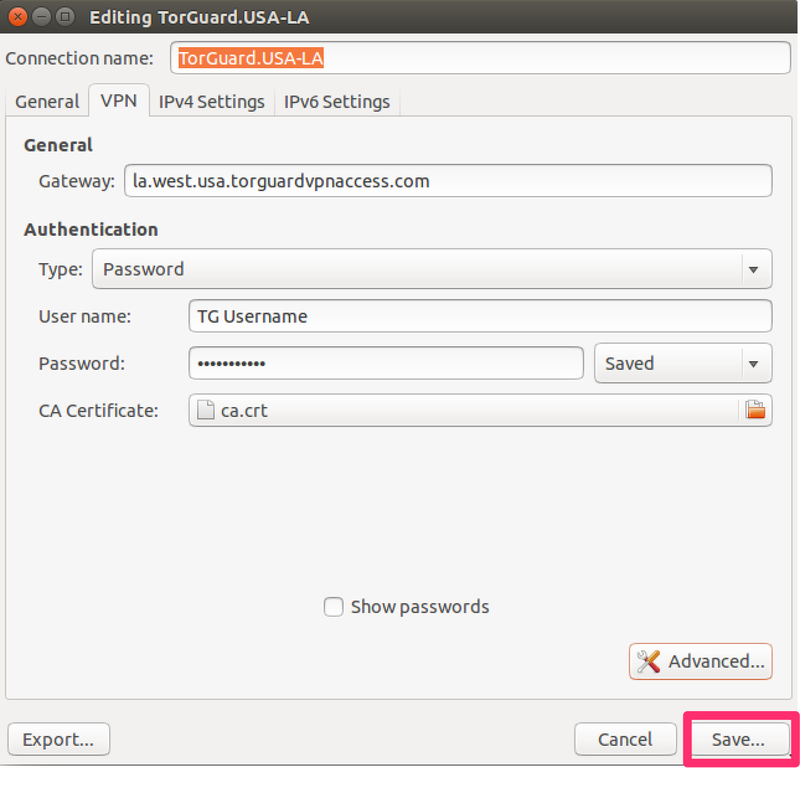 In the Username and Password area enter the TorGuard VPN login info that you chosen on signup. Click Save. 8.) 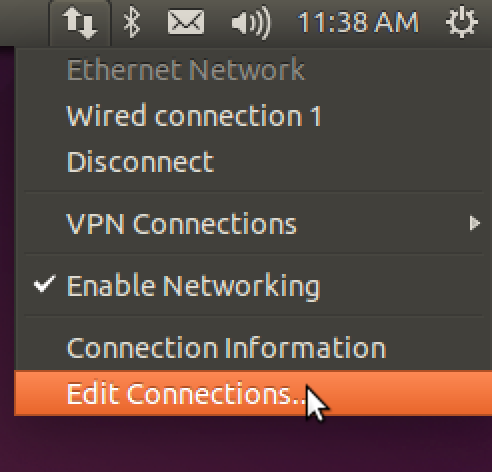 The VPN connection has now been added to your Network Manager Connections list! You can now click the network manager icon in the top menu bar, Select "VPN Connections"